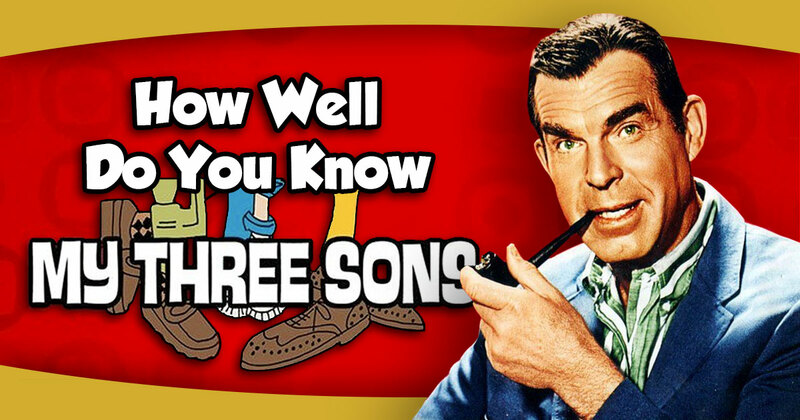 How Well Do You Know “My Three Sons”? My Three Sons premiered in 1960 to the delight of many fans. Featuring an American family, the popular series ran for many years subsequently. How well do you know the facts surrounding this comedy? Take our quiz and find out! What is the name of the father on the show? Fred MacMurray played lovable father Steve Douglas with low key humor. What was the job title for the family patriarch? Bub O'Casey (the boys' maternal grandfather) cooked, cleaned, and clowned around in the Douglas household. Who played this curmudgeonly family member from 1960-1965? Who arrived to care for the Douglas household after Bub was written out of the show? Robbie Douglas enjoys a brief career during this season five episode. What new job does Robbie take up temporarily? Singer and actress Tina Cole shined as Katie Miller, who married Robbie Douglas. The newlyweds promptly surprised everyone by expecting triplets. What were the names given to the next generation of three sons? Barbara Harper appeared on the scene in 1969 and married widower Steve Douglas after a brief romance. This actress played the new Mrs. Douglas for the final three years of the series. When Barbara married Steve Douglas, she brought her young daughter into the family. It was a difficult adjustment for this little girl to live in a house with only big brothers. What was this child's name? "My Three Sons" enjoyed a successful run on television, by any standards. How many seasons were there in this popular situation comedy? Actor Fred MacMurray came to television after many years as a successful presence in Hollywood films. Which one of the following movies did not feature MacMurray? How did Steve meet his wife Barbara (Dodie's mother)? Which was the only boy that didn't get married on the show? Can You Pass A 1960s TV Trivia Quiz? How Well Do You Know “Leave It To Beaver”? How Much Useless General Knowledge Do You Actually Have? 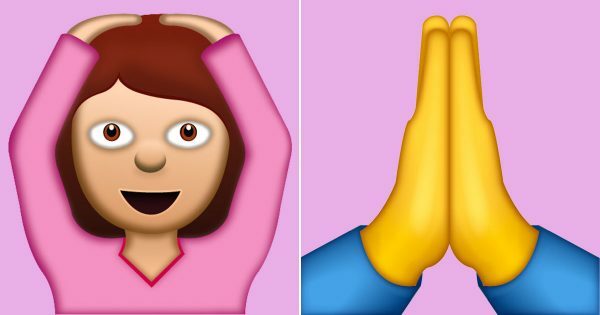 🤔 What Do These Emojis Actually Mean?